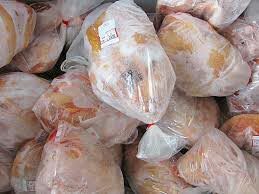 We export and supply excellent quality Frozen Whole Chicken that is widely used for preparing delectable cuisines. Frozen Whole Chicken that we offer is properly cleaned and hygienically processed. Further, it undergoes the freezing process using the most sophisticated processes. Our Frozen Whole Chicken is extracted from the disease-free chicken only. We make available Frozen Whole Chicken in quality packing that makes thawing and refrozen process easy.